Healthy sagebrush steppe with a variety of wildflowers, grasses, and shrubs. 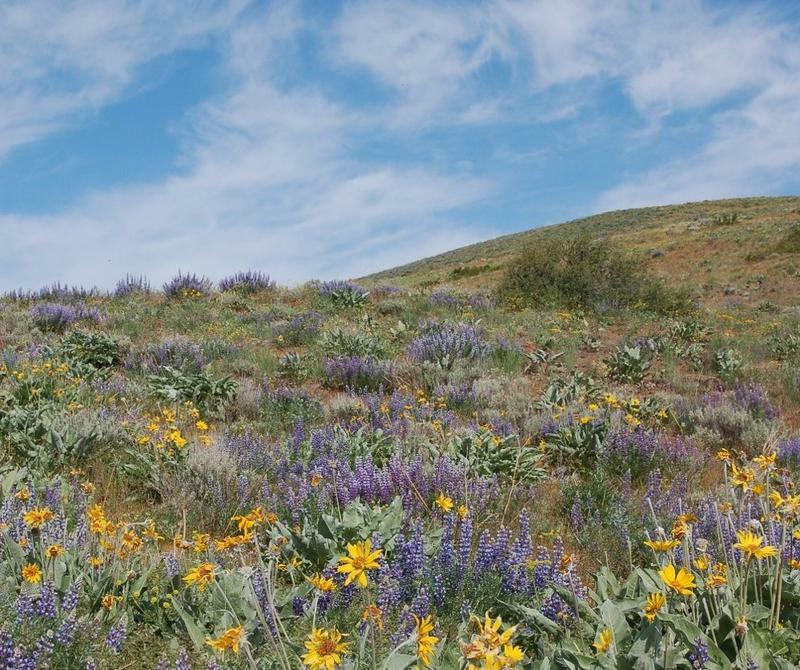 Cheatgrass has invaded sagebrush steppe rangeland, choking out desirable native grasses, and wildflowers. Cheatgrass also causes a fire hazard. Squirrel-tail grass in early-season. 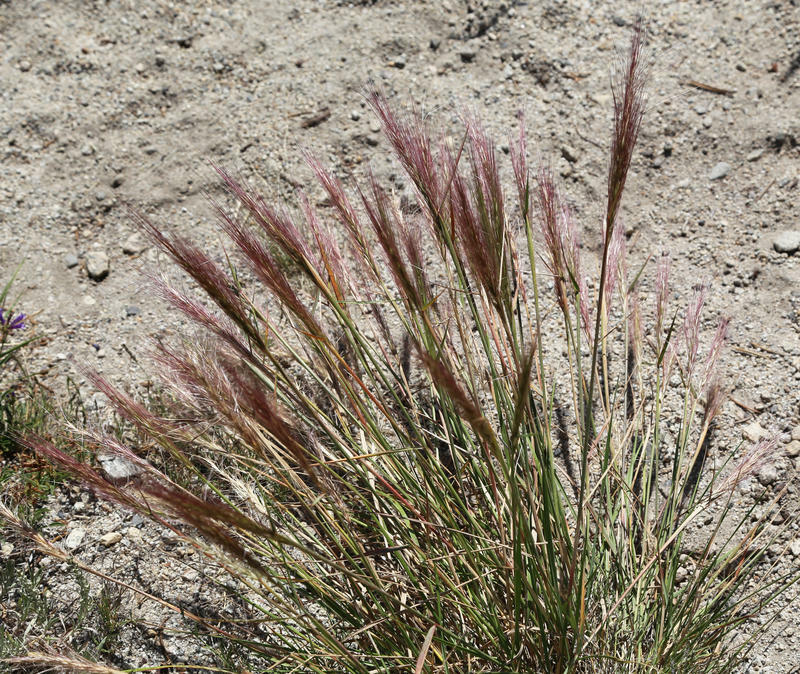 This native grass was able to live with cheatgrass. Trying to repair the damage is expensive, and sometimes pointless. For example, the restoration attempts after the devastating 2007 Milford Flat fire cost $25 million. Three years after the restoration attempt, the seeded areas were as cheatgrassy as untreated areas. Dr. Elizabeth Leger at University of Nevada-Reno thinks we should be using tougher plants to try to restore burned sagebrush areas. 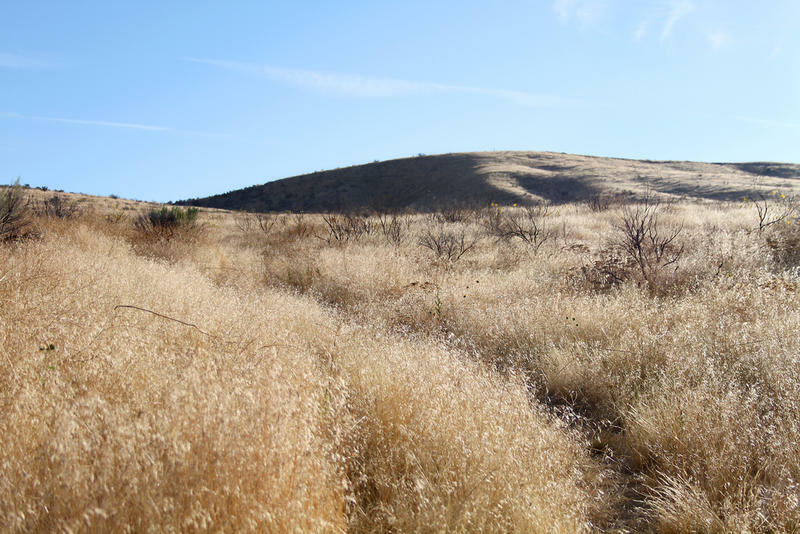 In her search for tougher plants, Leger went looking for native grasses that had survived the invasion, and native grasses that had never seen cheatgrass. She dug them up, put them in pots, and added cheatgrass seed. The survivor squirreltail grass could grow with cheatgrass much better than the naïve squirreltail grass. Leger thought that the survivor squirreltail might be bigger than the naïve squirreltail. Her results surprised her. “The other thing we’ve seen is being small. We see that small seedlings survive better in cheatgrass-infested areas than large plants. They need less. It’s better to be small than dead,” said Leger. Leger hopes that restoration ecologists will take seed from genetically diverse survivor populations and use them in restoration. She is currently looking for tough versions of native wildflowers and shrubs.